Brit Decor : Home Page: Brit Decor: High Street Steal! Anthropologie. 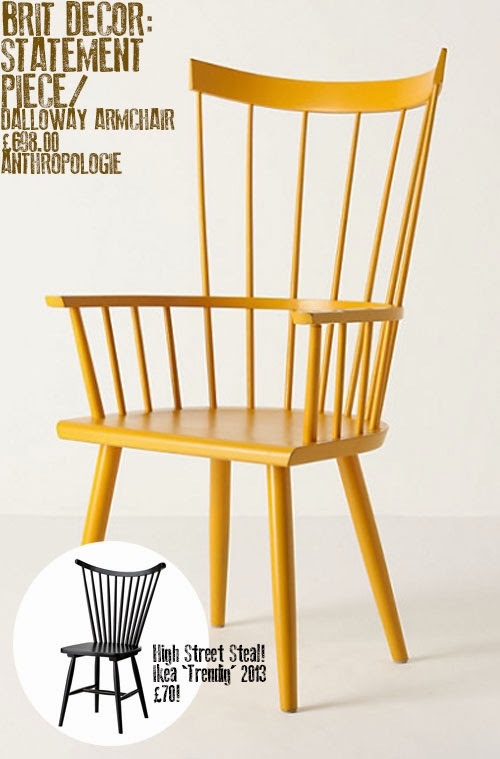 However, at £698 this modern classic creeps into the luxury price band so you might just be interested in Ikea's Trendig 2013 chair, which at £70 is a mere snippet of the cost. Okay so the black colouring of the Trendig may not be as uplifting but a quick lick of paint would create your very own bespoke piece. Pick a colour!